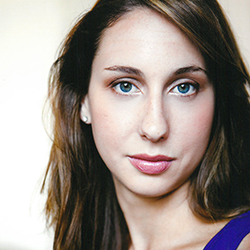 Veronika Duerr makes her Boston Center for American Performance and New Repertory Theatre debut. Recent credits include Men On Boats (SpeakEasy Stage Company); Going to See the Kid, 45 Plays for 45 Presidents, and Home of the Brave (Merrimack Repertory Theatre). Regional credits includes BOB: A Life in Five Acts (GEVA Theatre); The Tall Girls and Spoonlake Blues (Alliance Theatre); Twelfth Night, Romeo and Juliet, and Cymbeline (Atlanta Shakespeare Company); and Venus in Fur (Actor’s Express). Veronika received an MFA from Savannah College of Art and Design. Originally from Atlanta, she currently resides in Lowell. Upcoming projects include a public reading of her one woman show Glockenspeilbavariasexpartygoodbye in May (Central Square Theater) and the birth of her daughter in June.